A coalition of U.S. hospitals has decided to take matters into its own hands in the face of ever-rising drug prices: The group is going to start its own drug company to compete with big pharma. 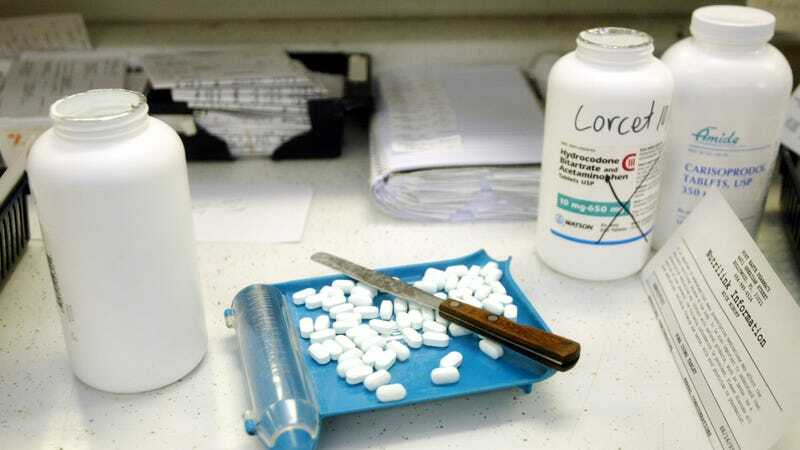 On Friday, several of the largest hospital systems in the country announced their plan to pool together their resources in order to create a not-for-profit company that will make and sell certain generic drugs back to hospitals at lower prices. It would also help stabilize the supply of these drugs, presumably preventing shortages that have been used in the past as an excuse for higher mark-ups. The company, which has no name yet, would seek to be approved by the FDA as a drug manufacturer and either produce the drugs itself or subcontract production to a reputable third-party business. Aside from Intermountain Healthcare, the other chains involved are Ascension (the largest Catholic hospital system), SSM Health, and Trinity Health, which collectively represent more than 300 hospitals around the country. But the U.S. Department of Veterans Affairs is also acting as an consultant, along with a long list of outside researchers and drug policy experts. Already, Axios reports, other hospitals have reached out to Intermountain Healthcare expressing their interest in joining the coalition. The details surrounding the company are so far scarce, including which kinds of drugs it will actually focus on. But this vagueness is intentional on the hospitals’ part: Harrison told the New York Times that they won’t reveal their drug line-up for fear that other companies will try to manipulate the market in advance. The company is expected to target generics that are produced by fewer manufacturers, are in shorter supply, and make low revenue—all factors that enabled vultures like Martin Shkreli, the infamous “pharma-bro” and now-convicted fraud, to swoop in and jack up prices. In 2015, his then-company Turing Pharmaceutical bought the rights to daraprim, an old drug used to treat certain parasitic and fungal infections, and raised the price per tablet from $13.50 to $750. It also prevented other generic drug companies from making their own cheaper versions. Other scandals have seen the price of some generic drugs increase by hundreds to thousands of percent overnight. The company is expected to be up and running by next year.